One of the worst experiences you can have is calling someone out to fix a problem, only to have that problem reoccur afterwards. It’s far better to do a little bit of research beforehand and to ensure that you contact the right electrician in Campsie before you call them out to your home so that you know the job will be done right the first time. Experience is an incredibly important factor in getting any job done when it comes to electrical work, whether it is the installation of a water heater, ceiling fan, or the like, or whether you are having repair work done on the wiring of any of the said components of your home’s switches. 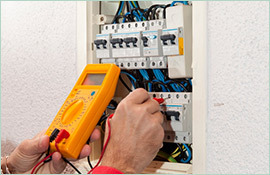 That is why when seeking an electrician in Campsie, so many people turn to Paul’s Electrical Services. 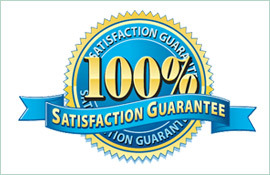 With over 18 years of experience, we have been able to complete many jobs without fail and without having to come out again to fix any problems after attending to the job. With fully stocked vans and an excellent understanding of residential repair work, you can rest assured that there will be no problem in completing your job the first time we come out to your home, either. 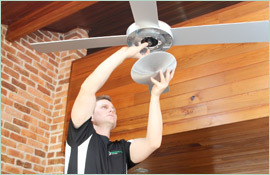 Contact us on 0409 337 439 to learn more about our services or to call us out to your home for a repair or installation. 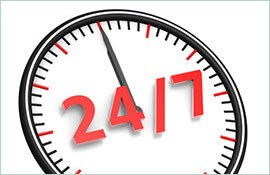 We also offer 24/7 emergency services if you are ever in need of our help after hours.